JEMP records is excited to share "Phish 12/31/91, Worcester Memorial Auditorium (The New Aud), Worcester, MA", available NOW as a 3-set digital download and on-demand CD from livephish.com. 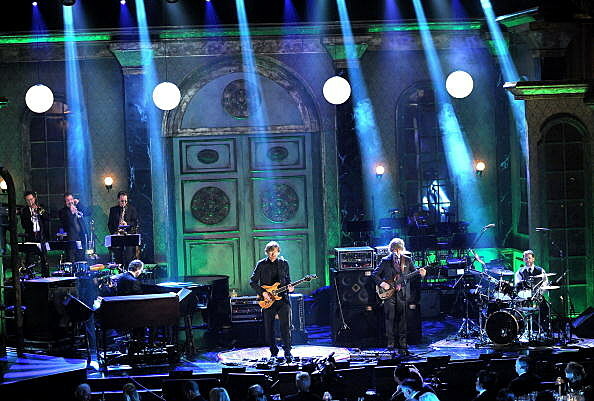 Phish had a busy year in 1991, signing a record deal with Elektra Records and touring coast-to-coast for a total of more than 130 shows including a fourteen-show tour with a three-piece horn section and the first unofficial Phish festival at Amy’s Farm. That summer Phish also recorded their third studio album, "A Picture Of Nectar". White Crow Studios in Burlington, Vermont provided the backdrop for Nectar’s namesake with engineering duties covered by Kevin Halpin and Jon Altschiller. While Jon was still getting his start as an engineer, he was also a fan and was among the dozen-or-so tapers at The New Aud for the band's New Year's Eve concert. Thanks to his work on Nectar, Jon was allowed to set up his microphones inside the front-of-house position. He also managed to snag a then-rare soundboard patch from FOH engineer Paul Languedoc.